Author: Joseph Tracey, Selene G. Parekh . 1. van Dijk CN, Scholten PE, Krips R. A 2-portal endoscopic approach for diagnosis and treatment of posterior ankle pathology. Arthroscopy: The Journal of Arthroscopic & Related Surgery. 2000 Nov 1;16(8):871-6. 2. Abramowitz Y, Wollstein R, Barzilay Y, London E, Matan Y, Shabat S, Nyska M. Outcome of resection of a symptomatic os trigonum. JBJS. 2003 Jun 1;85(6):1051-7. 3. Marotta JJ, Micheli LJ. Os trigonum impingement in dancers. The American journal of sports medicine. 1992 Sep;20(5):533-6. 4. Willits K, Sonneveld H, Amendola A, Giffin JR, Griffin S, Fowler PJ. Outcome of posterior ankle arthroscopy for hindfoot impingement. Arthroscopy: The Journal of Arthroscopic & Related Surgery. 2008 Feb 1;24(2):196-202. 5. Nickisch F, Barg A, Saltzman CL, Beals TC, Bonasia DE, Phisitkul P, Femino JE, Amendola A. Postoperative complications of posterior ankle and hindfoot arthroscopy. JBJS. 2012 Mar 7;94(5):439-46. 6. Lijoi F, Lughi M, Baccarani G. Posterior arthroscopic approach to the ankle. Arthroscopy. 2003 Jan 1;19(1):62-7. 7. Sitler DF, Amendola A, Bailey CS, Thain LM, Spouge A. Posterior ankle arthroscopy: an anatomic study. JBJS. 2002 May 1;84(5):763-9. 8. d’Hooghe PP, van Dijk CN. Hindfoot Endoscopy for Posterior Ankle Impingement. InArthroscopy 2016 (pp. 1067-1077). Springer, Berlin, Heidelberg. 9. Balcı Hİ, Polat G, Dikmen G, Atalar A, Kapıcıoğlu M, Aşık M. Safety of posterior ankle arthroscopy portals in different ankle positions: a cadaveric study. Knee Surgery, Sports Traumatology, Arthroscopy. 2016 Jul 1;24(7):2119-23. 10. Urguden M, Cevikol C, Dabak TK, Karaali K, Aydin AT, Apaydin A. Effect of jointmotion on safety of portals in posterior ankle arthroscopy. Arthroscopy 25:1442–1446, 2009. 11. Van Dijk CN, De Leeuw PA, Scholten PE. Hindfoot endoscopy for posterior ankle impingement: surgical technique. JBJS. 2009 Oct 1;91(Supplement_2):287-98. 12. Tonogai I, Hayashi F, Tsuruo Y, Sairyo K. Anatomic Study of Anterior and Posterior Ankle Portal Sites for Ankle Arthroscopy in Plantarflexion and Dorsiflexion: A Cadaveric Study in the Japanese Population. The Journal of Foot and Ankle Surgery. 2018 May 1;57(3):537-42. 13. Spennacchio P, Cucchi D, Randelli PS, et al. Evidence-based indications for hindfoot endoscopy. Knee Surg Sports TraumatolArthrosc2016;24:1386–95. 14. Van Dijk CN, Vuurberg G, Batista J, d’Hooghe P. Posterior ankle arthroscopy: current state of the art. Journal of ISAKOS: Joint Disorders &Orthopaedic Sports Medicine. 2017 Aug 7:jisakos-2016. 15. van Dijk CN, van Bergen CJ. Advancements in ankle arthroscopy. J Am AcadOrthopSurg2008;16:635–46. 16. van Dijk CN. Hindfoot endoscopy. Foot Ankle Clin2006;11:391–414. 17. Ogut T, Ayhan E, Irgit K, et al. Endoscopic treatment of posterior ankle pain. Knee Surg Sports TraumatolArthrosc2011;19:1355–61. 18. van Dijk CN. Hindfoot endoscopy for posterior ankle pain. Instr Course Lect2006;55:545–54. 19. Smyth NA, Murawski CD, Levine DS, Kennedy JG. Hindfoot arthroscopic surgery for posterior ankle impingement: a systematic surgical approach and case series. The American journal of sports medicine. 2013 Aug;41(8):1869-76. 20. Golanò P, Mariani PP, Rodríguez-Niedenfuhr M, Mariani PF, Ruano-Gil D. Arthroscopic anatomy of the posterior ankle ligaments.Arthroscopy. 2002;18:353-8. 21. Beimers L, de Leeuw PAJ, van Dijk CN. A 3-portal approach for arthroscopic subtalar arthrodesis. Knee Surgery, Sports Traumatology, Arthroscopy. 2009;17(7):830-834. 22. Lee KB, Saltzman CL, Suh JS, Wasserman L, Amendola A. A posterior 3-portal arthroscopic approach for isolated subtalar arthrodesis. Arthroscopy: The Journal of Arthroscopic & Related Surgery. 2008 Nov 1;24(11):1306-10. 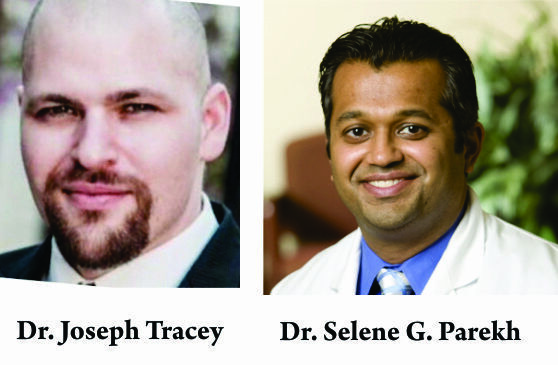 How to Cite this article: Tracey J, Parekh S G. Modern Concept in Posterior Ankle Arthroscopy. Asian Journal of Arthroscopy May-Aug 2018;3(2): 9-12.